Illuminati a myth? Volume 2 Media Control Unfair Bank charges and Nationwide Building Society Rupert Murdoch Rockafellas Rothchilds sources include BBC news CNN Press TV Russia Today and Fox News WATCH Signs of the ILLUMINATI? It has been said that, as a young man, Winston Churchill was a member of the Illuminati of Adam Weishaupt. In view of his tirelessly inquiring mind, it would not be very surprising if that were so. Hitler once confided to Rauschnig that he was founding a secret order at the second stage of which a man-god would be worshipped throughout the world. The Illuminati Agenda Fully Explained. This game is still available - a bit nerdy but fun also in a strange way to see if you can persuade the family to play - strangely addictive and capable of throwing up all sorts of strange network. It's over. Romney is the chosen one, who will go up against Obama and who will lose. I am convinced Ron never intended to have a chance. His campaign blew every opportunity there was to tell the rest of the country about him. They * over the grassroots activists - called them names like "ragamuffin" and told them to be polite and behave and to get along. They started acting exactly like the campaigns they've been up against all this time. As the grassroots activists' fingers were being broken and they were being assaulted, and they were being arrested, the campaign sat on its laurels - probably dying of laughter that there were dumbasses out there who were just freaking sheep enough to continue fighting for it. His campaign for 2012 was nothing more than a way to keep the activists engaged just long enough to convince them to wait another four years for Rand in order to try to effect change. I have been telling people for years...it's all a scam...a fraud. The jig is up. It's all a game. A show for the minions. And people are going to fall for it again. They are going to wait...wait for Rand...a Jr. Senator with no experience...and they will try to convince the rest of the country to support him...and they will fail. Because it's all a scam. And next year, when the "Fed" is "Ended"...people will really think he accomplished something, when in reality, the Fed was ALWAYS supposed to end in 2013. It's the end of the 100 year charter. And it will probably usher in the final total complete collapse of the dollar, followed closely by the implementation of the global monetary system full-force. This is how it's always been. It's how it always will be. It's Ordo ab Chao into the Novus Ordo Seclorum. That's all it is. 'We will lead every revolution against you' Why do you think there is one beacon of light in each camp? To carry the activist! I have thought this years, only one outspoken in each party?? As nerdy as you may believe the Illuminati New World Order card game to be, those cards accurately depicted both of the strikes of 9/11: against the Twin Towers first and then against the Pentagon. The idea of a spectacular attack on New York was 'predicted' even in Gerry Anderson's puppet series 'Captain Scarlet' in the 1960s! But on the discovery of the Original Writings of the order, a price was set upon Weishaupt's head, and the regency of Ratisbon no longer ventured to support him. Well not exactly in a nutshell this one but some genuinely original source material from 1799. Families will be forced to pay tax on jewellery and other heirlooms under controversial new plans drawn up by the Liberal Democrats. Under the scheme, tax inspectors would get unprecedented new powers to go into homes and value rings, necklaces, paintings, furniture and other family treasures. Householders would be forced to pay a new ‘wealth’ levy on the assets – with the threat of fines for those who refused to let snoops value their possessions. A policy document seen by The Mail on Sunday spells out how the taxman ‘may have to visit homes to test values of jewellery, paintings, etc’. Last night, Liberal Democrat MP Tessa Munt said that the jewellery tax was ‘an interesting idea’. Another plan to extend the proposed mansion tax to include those with ‘buy to let’ and holiday homes is also being considered by Nick Clegg’s party. Both the Lib Dems and Labour are already committed to introducing a mansion tax on individual properties worth over £2 million. However, the document reveals the Deputy Prime Minister’s party is now looking to go much further and levy the tax if anyone’s total property holdings are worth more than £2 million. The Illuminati was founded as a Counter Force to the Jesuits as Weishaupt had been a Jesuit and renounced his faith in Christ. I'd like to add my two cents here. First off, I'm glad that the role and importance of the Jesuits has eventually begun to be mentioned. 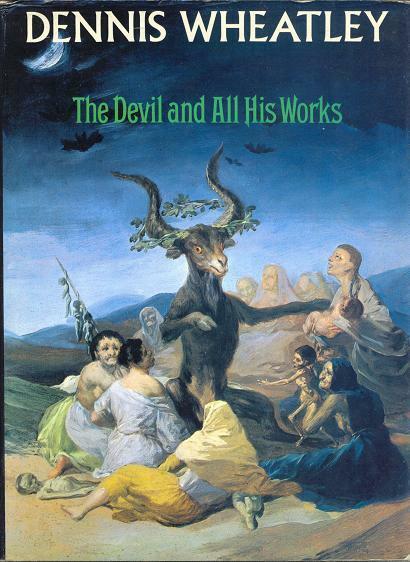 I firmly believe that understanding the influence of the Jesuit Order on the Bavarian Illuminati is a huge key to realising the full extent and reason for their creation and existence. There has been, and as it stands, is still continuing a pervasive disinformation and sophistry campaign that is being conducted by the hierarchy of the Jesuits themselves in order to distance themselves from, and cover up and spin their own nefarious role in the formation of the Illuminati. This campaign of propaganda has been carried out in various ways to attempt to falsify true history and hide the footsteps of the Order. One statement that we see commonly made is that Adam Weishaupt actually hated or despised the Jesuits. This is stated as a futile attempt to nullify the fact of Weishaupt's huge connections to the Order. They do not want people to understand that it was indeed the Jesuits themselves that Weishaupt was working on behalf of, and so they make these hollow claims to falsely imply that he had turned against them. One book I own, for example, covers this in one single line, that simply says: "Weishaupt was educated by Jesuits but always retained a deep hatred of them." That's it. The end. No more questions. Next please. This attempt at sophistry does directly tie in to their secondary attempt at the same, which basically involves this idea that the Illuminati were created by Weishaupt to combat and counter the Jesuits and the Vatican. This theory creates the impression that the Bavarian Illuminati are the "bad guys" and feeds the assumption that the Jesuits and the Vatican must therefore be the "good guys". We can actually see this propagandist viewpoint in the writing of Dan Brown and the Hollywood adaptations of his films. Funnily enough, Dan Brown has had personal audiences with the Pope, but I'm digressing and will let people make of that what they will for now. However, when we examine and overview the facts logically, it can be seen that the influence of the Jesuits over Weishaupt and his creation of the Illuminati is paramount. Furthermore, in order to see all the pieces of this puzzle, I think it is very important to examine the history of the Jesuits around the time period, as I would argue that it directly correlates to these events. Adam Weishaupt was educated and trained by the Jesuit Order from the age of seven, although it can definitely be inferred that he was actually under the influence of the Jesuits from at least age five; as his Godfather who became his guardian at this time was a Professor at the prestigious private Jesuit institution of Ingolstadt. It was the Jesuits who said the infamous quote: "Give me the boy and I'll give you the man." And that is very relevant here, and in understanding how they condition their servants for their roles. Weishaupt would later go on to attend Ingolstadt, and even become a Professor of Canon Law at the University. Now, at the time in the 1700s, being a Canon Law professor was a role that was only reserved for ordained Jesuit Priests. So, it is more than extremely likely (I would say a certainty) that Weishaupt was in fact, a crypto-Priest of the Order. Now, we should begin to see why the idea that "he hated the Jesuits" holds no real water. For a man who apparently hated these men, he had no issue at all with completely surrounding himself with Jesuit affiliations, no problem with utterly ingratiating himself amongst the life of the Jesuit, and happily would accept a job as professor at one of their most important institutions in a position held only for Jesuits! It seems to me, at least, to be a fairly logical conclusion to make that maybe, just maybe, he didn't hate them quite as much as these revisionist historians might imply! Additionally, as I suggested earlier, it is vital to look into the history of the Jesuit Order around this time. In 1773, Pope Clement XIV suppressed the Jesuit Order, forever expelling and banishing them from the Vatican itself, stating that they were forever destroyed and never to return. Clement XIV had seen through and had enough of their nefarious plots and conspiracies, stating that they had become so far removed from their original purpose that they should no longer exist. He also disagreed vehemently with the use of the name Jesus in their society, as if it gave them automatic implied power over the Popes. They had previously been banished and expelled from a multitude of separate countries for plots, political intrigues and treason. So Clement XIV suppressed the Order. Then in 1774, Clement XIV died suddenly and mysteriously. His death has since been attributed to 'natural' causes by Jesuit controlled revisionists, but the real truth is he was poisoned. The Jesuits gave him their famous 'poison cup' as revenge, as they never forgive nor forsake. Those few Popes who are fairly ballsy and have actually good intentions who betray the Jesuit Order are punished, either via assassination or deliberate ousting via foul means. The Jesuits remained existing in secret, but had now lost their grasp of power over the Vatican. So in 1776, they used their loyal servant Adam Weishaupt to form the Bavarian Illuminati, who were essentially a proxy secret society for the Jesuits, created for the purpose of regaining their vast power and re-infiltrating the Vatican. The Illuminati quickly affiliated themselves with families and bloodlines (particularly Black Nobility) who had previously been sympathetic, supportive or helpful to the Jesuits and their cause. Weishaupt himself even used the codename Spartacus, which is very telling indeed. Spartacus of course, being a Roman slave who led a revolt against Caesar. This is an open parallel of the Jesuits being "Roman slaves" leading a revolt against the "Papal Caesar". Using the influences of the Illuminati, the Jesuits gradually infiltrated and ingratiated themselves appropriately amongst the Romish supporters and affiliates, and in 1814 Pope Pius VII formally restored the Order. It is interesting to note as a final point (my apologies for the lengthiness of this post by the way), that the Jesuit Oath Of The Fourth Vow that you posted Tony is intriguing to examine as it provides an insight into how these men are conditioned to operate as spies. Particularly the "be all things to all men" is of much significance here, as by understanding this we can begin to understand how the Jesuits can operate so cleverly. A much more in depth and more factual account of this can be attained by reading: The Secret Instructions Of The Jesuits written by W.C. Brownlee in 1857. But, in short, the Jesuits are taught to openly present particular views, opinions, or tasks; whilst on the other hand secretly are maintaining their true views and tasks, etc. For example, a Jesuit could masquerade as a Protestant and denounce the Roman Church, if this role was viewed by his superiors to be ultimately for the benefit of the Jesuit Order in the end. They are even taught to openly denounce their own Order if required to progress in their missions. So, when we begin to understand this, we can see how even if there is any truth in the idea that Weishaupt 'openly' displayed and claimed a hatred toward them at a given time, this was not necessarily truly and covertly the case. As can be shown through his full actions, etc. In reality, it would be nothing but a ruse as he'd been trained by them to do. "We'll know our disinformation program is complete when everything the US public believes is false." William J. Casey - CIA Director, 1981 - 1987. Korean War: President Truman, a Mason, announced on 27 th June 1950 his order to send US air and naval forces into South Korea despite the fact that the United States had begun withdrawing its troops from South Korea in 1948. As late as January 1950, Secretary of State Dean Acheson had implied that the Korea Peninsula lay outside the all-important “defence perimeter” of the United States, a statement that some took to mean that the US would not defend the rest of Korea from communist attack. Persian Gulf War: Forty-five Democrats filed a suit in Washington on 20 th November 1990 to have President George H Bush, a Mason, first seek Congressional approval of military operations. This was to be eventually thrown out. On 16 th January 1991, the first US government statement on Operation Desert Storm was made. War on Terror: With the foundations laid by President William Clinton and completed under President George W Bush (both are members of the Masonic Skull and Bones Society) the world now has the beginnings of the supposed 21 st century “war on terror.” This has witnessed an escalation of unrest, violence and conflict in Afghanistan, Iraq, Pakistan, India, and the Middle East. The Sunday Times , 16 th April 1995, reported: “In future, scientists want to insert electronic chips into our heads so we can plug directly into the information highway. British researchers are among international teams working on an implant to translate human thought into computer language. In a generation, one group says, people with a peppercorn-sized chip in the back of the neck will be able to talk to machines.” Or, perhaps, the machines will be able to talk to them? The story of Dr Carl W Sanders was reported in Nexus in the summer of 1994. He said he attended seventeen meetings of the One-Worlders in places like Brussels and Luxemburg. The meetings, he claimed, were “tying together the finances of the world.” Dr Sanders said: “I was at one meeting where it was discussed: ‘How can you control a people if you can’t identify them?’ People like Henry Kissinger and CIA folk attended these meetings. It was discussed: ‘How do you make people aware of the need for something like this chip?’ All of a sudden the idea came: ‘Let’s make them aware of lost children etc .’ This was discussed in meetings almost like people were cattle. The CIA came up with the idea of putting pictures of lost children on milk cartons. Since the chip is now accepted, you don’t see the pictures anymore, do you? It’s served its purpose.” Dr Sanders said the manipulators want the chip to contain a name and a picture of the person’s face, an international Social Security number, fingerprint identification, physical description, family history, address, occupation, income tax information, and criminal record. The chip recharges itself by turning the changes in body temperature into a dynamo system and the most effective places they have found for this are the forehead and the back of the wrist. 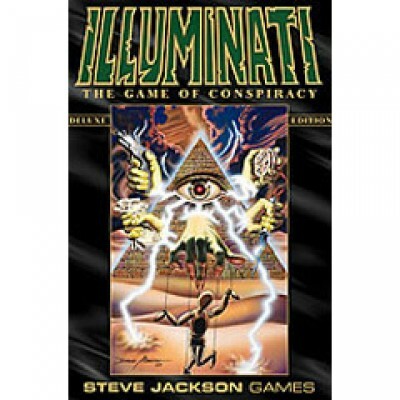 Whatever the truth might or might not be about the Illuminati, and it is not being suggested that the claims reported above are anything more than a subjective viewpoint held by those who subscribe to the existence of Illuminist global manipulation by a shadowy New World Order, there is one path that invariably thwarts its grip. That path is not an easy one, but it is the only Way. CFR VOL 2 SIDE 1 from Olly M on Vimeo.